The CoffeeShop Blog: CoffeeShop "Peter Rabbit" Digital Paper/Texture Set! CoffeeShop "Peter Rabbit" Digital Paper/Texture Set! 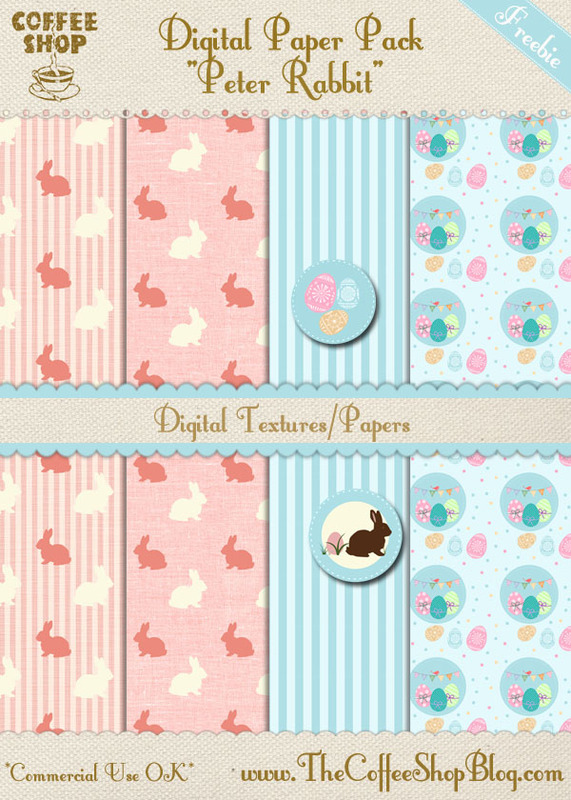 Today I am posting a free set of Easter-themed digital paper and stickers. I used some adorable royalty free clip art from Clker. Download the free CoffeeShop "Peter Rabbit" Digital Paper Pack. You can also download it here. It's very nice, Thank you very much!